The true story of a love affair with Maharishi Mahesh Yogi, the Indian Guru. 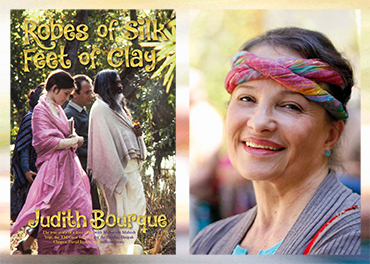 In the book Robes of Silk, Feet of Clay author Judith Bourque describes the unexpected love affair that developed with Maharishi when she went to India as a young woman to become a teacher of Transcendental Meditation. Meet Judith Bourque in this reading/signing at the Stockholm shop. Free.